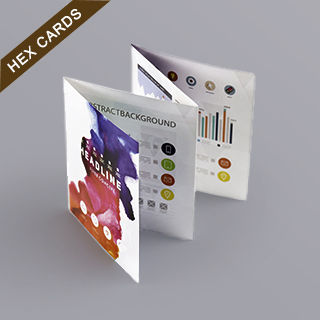 Accordion booklet for Hex card 3.25"x3.7"
Customize your own hex card size instructional book with your custom card game or custom board games design. This 8 sided custom rule book has an adequately amount of space for you to outline the instructions to your custom game. 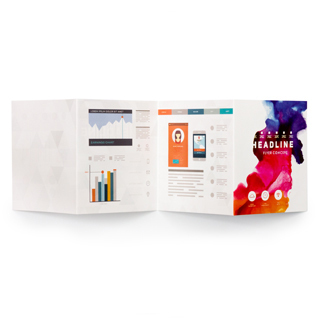 If your rules require any photos or graphics to display, your artwork will be printed in full color using the high quality of materials. The 128gsm art paper along with water varnish finishing will ensure durability and a touch of professionalism. Your instructions booklet is fit for a deck of hex size cards and finished off in a game box will really complete your custom game. 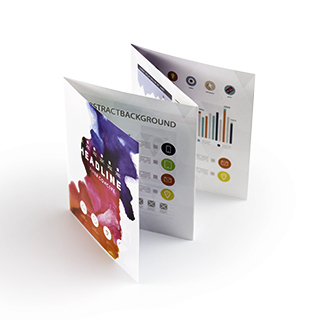 We have no minimum, so you can bulk order for a complete game production or order as little as one booklet for prototyping.